Burnley have been beaten 4-1 by Bolton Wanderers this evening in the Professional Development League but the result takes some believing after a performance from the young Clarets that was nothing like as bad as the scoreline might suggest. It’s hard to believe now but we started the brighter of the two sides but found ourselves 2-0 down with only ten minutes on the clock. The first came when Dennis Politic turned in a Connor Hall cross from the right and then Hall himself scored as he got the slightest of touches to a free kick. But generally, in the first half, we were the better side. We pulled on back in the 19th minute. Jamie Thomas and Dean Marney linked up well with Marney’s cross into the box finding Tinashe Chakwana (pictured) who made no mistake. At that point, I thought, having got back into the game, we’d go on and give Bolton a really tough game. We had chances, but failed to take them and then, six minutes from the interval, fell 3-1 behind when Jeff King scored for Bolton from close range. We dominated the second half in terms of the play with most of it towards the Bolton goal, but they had dropped deeper and made it more difficult for our pacy forwards to find the space. Even so, we should certainly have got back into the game, didn’t, and then paid the penalty when they scored an absolute stunner for their fourth. Liam Edwards picked up the ball some thirty yards from goal, if not more, and hit an incredible dipping shot that went over Adam Legzdins and into the net. By then we were a beaten side, and it could have been worse had Ali Koiki not cleared off the line late in the game. It’s our second heavy defeat at Curzon Ashton, having been beaten 6-1 by Sheffield United recently, but coach Michael Duff said: “People might see the result at 4-1, but it was nothing like the Sheffield United game. We are not in league action now for another three weeks although we face Swansea away in the Premier League Cup two weeks today. 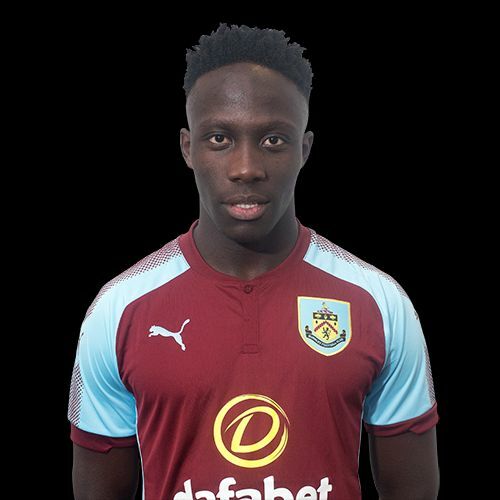 Burnley: Adam Legzdins, Arlen Birch, James Clarke, Oliver Younger, Ali Koiki, Jamie Thomas, Dean Marney, Rahis Nabi, Tunde Bayode, Khius Metz (Tommy Wood 70), Tinashe Chakwana (Harry Limb 75). Subs not used: Aidan Stone, Harry Flowers, Christian N’Guessan. Bolton: Jake Turner, Harry Brockbank, Cole Lonsdale, Liam Edwards, Adam Mitchell, Sam Jones, Dennis Politic (Ryan White 82), Jack Earing (Alex Perry 69), Connor Hall (Kai Parkinson 85), Jeff King, Chris Taylor. Subs not used: James Aspinall, Ted Moulden.